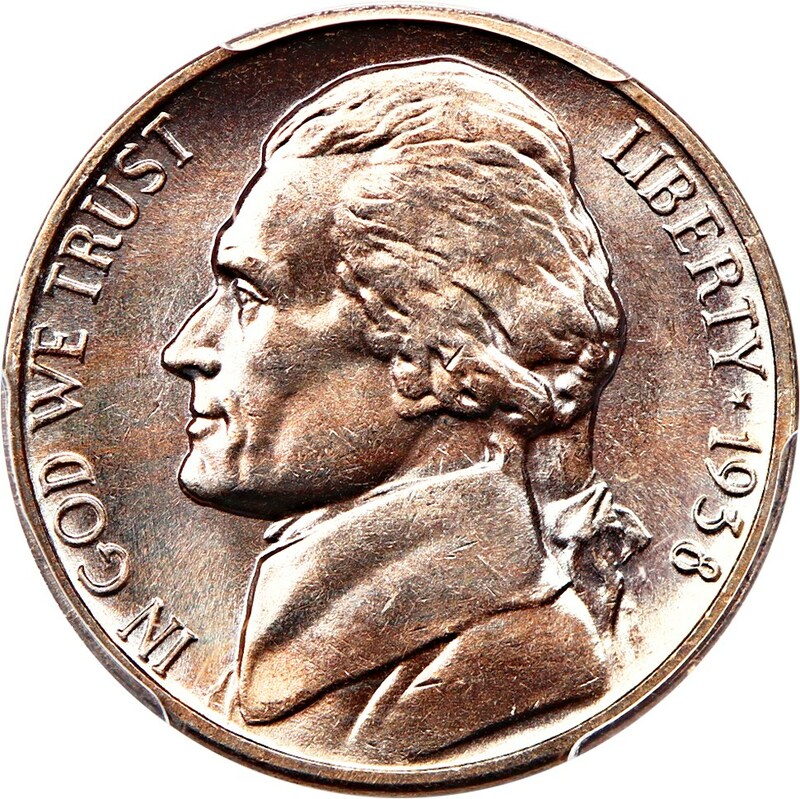 The first Jefferson nickels were coined in 1938 and remain in production to the present. The nickel was designed by Felix Schlag, whose artwork for the coin was selected in a competition in which 390 artists submitted designs; Schlag?s entry won him an award of $1,000. While the Jefferson nickel is among the nation?s longest-running coin series, it offers very few major regular-issue rarities. The 1939-D and 1950-D issues are the scarcest coins in terms of overall mintage, though these are relatively affordable in all circulated grades and even in most uncirculated grades. Among the significant business-strike varieties are the 1939 Doubled Monticello, 1942-D Over Horizontal D, 1943-P 3/2, 1943-P Doubled Eye, 1945-P doubled reverse, 1954-S S Over D, and 1955-D D Over S.
The 1971 No-S proof Jefferson nickel is a rare variety that crosses into four-figure territory on the higher end of the grading spectrum, while the 1994-P and 1997-P special strikes are among the most valuable issues from recent years. From 2004 through 2005, the series was used as a canvas for special bicentennial issues honoring the 200th anniversary of the Lewis and Clark Expedition. When the regular design was resumed in 2006, a new three-quarters profile of Jefferson by Jamie Franki and sculpted by Donna Weaver debuted on the obverse. Regular-strike Jefferson nickels featuring five or six full steps across the bottom of Monticello are significantly scarcer than examples showing softness in the strike across this area of the reverse. So scarce are these so-called Full Steps Jefferson nickels that none are known for some dates above MS65.